At First Class Heating & Air, we realize that when an emergency occurs with your heating or air conditioning system, it is often stressful and confusing. Emergency repairs can never be fully anticipated and so they are never convenient. If you live in the Toronto area and you need AC repair or furnace repair, call the professionals at First Class Heating & Air and breathe easier. A well operating heating and cooling system is needed when the weather hits extremes. You rely on these systems on a daily basis. Don’t be caught in an inconvenient emergency situation. If you are experiencing symptoms of a potential breakdown, call us. Hearing noises coming from your heating or cooling system? Smelling strange burning or moldy smells? Is your temperature no longer keeping up with your thermostat controls? Is your system cycling on and off? Not only is your comfort at stake, but combustion systems can also create a danger. Don’t wait to call and put your safety at risk. Before it becomes an HVAC emergency, call us. We will do a thorough inspection of your system and diagnose the problem. We carry most parts on our trucks so chances are your repair will be made immediately. Our factory trained technicians have been serving the Toronto area for Air conditioner repair, furnace repair and more for years. Don’t leave your safety and comfort to just any company. At First Class Heating & Air, our HVAC Experts in Toronto believe that an emergency is often just a maintenance issue that has been ignored. That’s why we recommend a regular, seasonal preventive maintenance visit to ensure you aren’t caught in an emergency situation when it could have been avoided. Seasonal maintenance and cleaning is the best way to keep emergency repairs at a minimum. When you hire us to do a seasonal inspection, we will be able to diagnose a potential problem before it becomes an emergency. Our state-of-the-art diagnostic tools will ensure the proper functioning of your systems and detect a problem that can most easily be remedied. We will also clean your system to ensure that it is working at its peak potential. When an emergency strikes, a homeowner is often caught off guard and doesn’t know who to call or trust. We want to be your partner in keeping your systems working proficiently. That way, when and if an AC repair or furnace repair hits our Toronto customers, they know who they can call and trust for their heating and cooling comfort. We believe maintenance is key to the effective operation of all heating or cooling devices. When it comes time for installation of a new furnace or air conditioning system, let First Class Heating & Air be your HVAC experts of choice in Toronto. A furnace or air conditioning system has an operational life expectancy. When a heating or cooling system becomes older or when it has not been properly maintained, repairs become chronic and heating and cooling proficiency suffer. We have serviced and installed all makes and models on the market and can give you expert advice on a new, energy efficient system that suits your needs. Questions? We have answers. An educated consumer is our best customer. We want to be your partner in finding the most appropriate climate control system to fit your needs and budget. 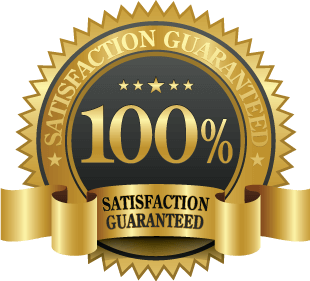 We take our reputation seriously and that is why First Class Heating & Air has become the most trusted name in air conditioner (AC) repair and furnace repair in the Toronto area. When one of our technicians comes to your door, you can rest assured you have one of the best in the business taking care of your needs. We take great care to hire the most professional, experienced heating and cooling professionals to our team. We don’t want you to entrust your valuable investments to anything less. We want each experience with us to help build a solid business relationship for years to come. We want you to think of First Class Heating & Air whenever you have a heating and cooling need. Let us be your personal expert in the comfort control of your home. Whether you are looking for service, maintenance or installation, we will be glad to assist you. Call our experts today.